Actually it was fewer calls and more tweets when the world found out on Tuesday that there’s to be a new Ghostbusters sequel. 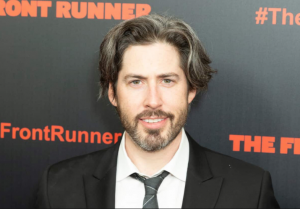 Jason Reitman, son of original Ghostbusters director Ivan Reitman, announced he’d been secretly working on the new film – and then a few hours later a little teaser trailer arrived. 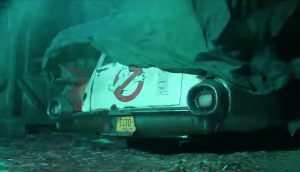 This new Ghostbusters is set in the present day, but it’s a continuation after Ghostbusters (1984) and Ghostbusters II (1989) – it’s not related to the 2016 women-led Ghostbusters (which I liked, by the way) which starred Melissa McCarthy, Kate McKinnon, and Kristen Wiig and was directed by Paul Feig. Shooting has yet to start on Ghostbusters though it should be in cinemas summer 2020. There’s no word yet if any original cast members will make an appearance (sadly Harold Ramis, who played Dr Egon Spengler and co-wrote the first movie, died in 2014). Reitman is directing, as well as co-writing with Gil Kenan. Reitman’s director credits include The Front Runner which is currently on release in the UK, and last year’s Tully.